From the subtitle, I was expecting an organized presentation of questions, followed by specific answers. When the book turned out not to be set up this way, I was initially frustrated. However, as I read more, my frustration soon turned into appreciation for what this book does offer. Trachtenberg is an explorer. He uses long stories to meander through different aspects of suffering, investigating and commenting on side paths and dead-ends. 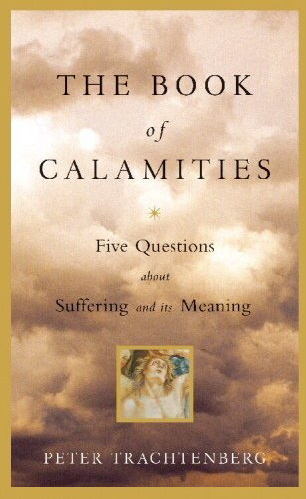 Rather than providing specific answers, he raises questions and provides ways we might consider the issues related to different types of suffering. I came to appreciate his storytelling more and more. Accompanying this author on a journey was more interesting than reading pat, dry answers. He looks at vast community challenges such as the genocides in Africa and the flooding of New Orleans, as well as more personal stories of individuals, such as twins living their lives with a disabling, terminal illness. In reality, there are no definite answers to the puzzle of pain and suffering. However, Trachtenberg’s work makes an excellent guide and companion in our ongoing contemplation of these central life questions.